Gatcomart themes has been purchased 21, rating: 4/5 based on 4 reviews. 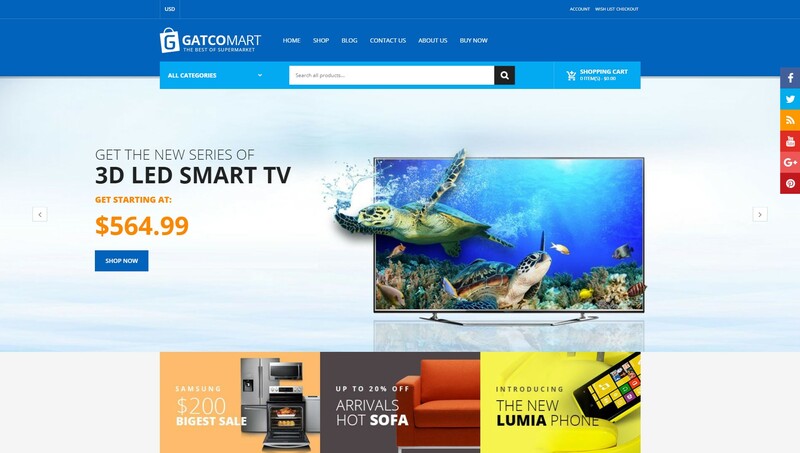 Gatcomart is an excellent Shopify theme developed by Masstechnologist. This is a trusted theme for customers because Gatcomart Shopify theme can be found on any device such as computers, tablets, mobiles, screen, laptop, etc. In addition, Gatcomart integrates many features needed for a Shopify store. Thanks to this, customers will certainly be satisfied with this theme and this theme will help increase their experience. Do not hesitate any longer, purchase Gatcomart Shopify theme to explore today!